Far from a one-time treat, forced amaryllis bulbs in a pot, with their big trumpet flowers, are one of the bright spots of winter. 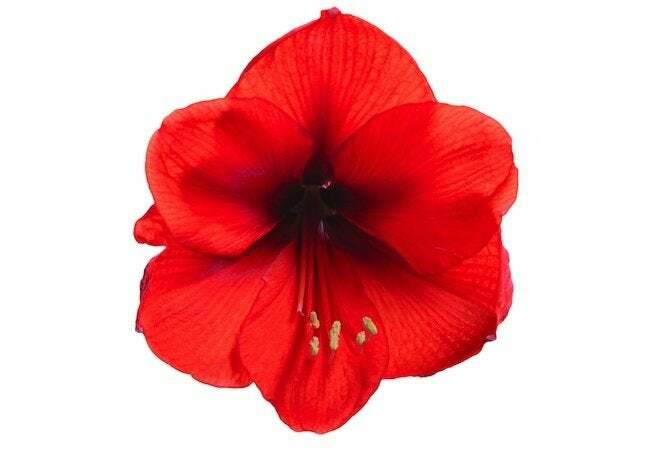 Since amaryllis are native to tropical environments, they love lots of water and humidity. To mimic those conditions, give your plant—foliage intact, flowers pruned—as much light as possible. Water often and fertilize twice a month. Once the frost threat has passed, put your amaryllis outside for the summer in a sunny spot until the weather chills. Bring it indoors to induce a dormant period, keeping it in a dark place for eight weeks, withholding water. Then put it in a sunny window and provide lots of water. Related: It’s Bulb Planting Time! Keep your fingers crossed for another bloom. Unfortunately, if the foliage appears first, then you have a stubborn amaryllis. Fertilize more frequently and try again next year. Residents of tropical or subtropical zones can use amaryllis in the garden instead of messing around with the finicky potted bloom. Again, wait until the threat of frost has passed, but this time, stick the bulb in the ground in a sunny, well-drained spot and add some fertilizer. Clumped together, the tall stalks and six-inch flowers make for an enviable addition to any landscape. The plants will bloom in spring.